The state-of-the-art workshop will comprise of seven service bays (including mechanical, body and paint) that can service up to 200 cars per month. The dealership will deliver extremely high-quality standards in all processes of Sales, Service, Spare-parts and Business Systems to ensure that customers receive best-in-class pre and post sales ownership experience. 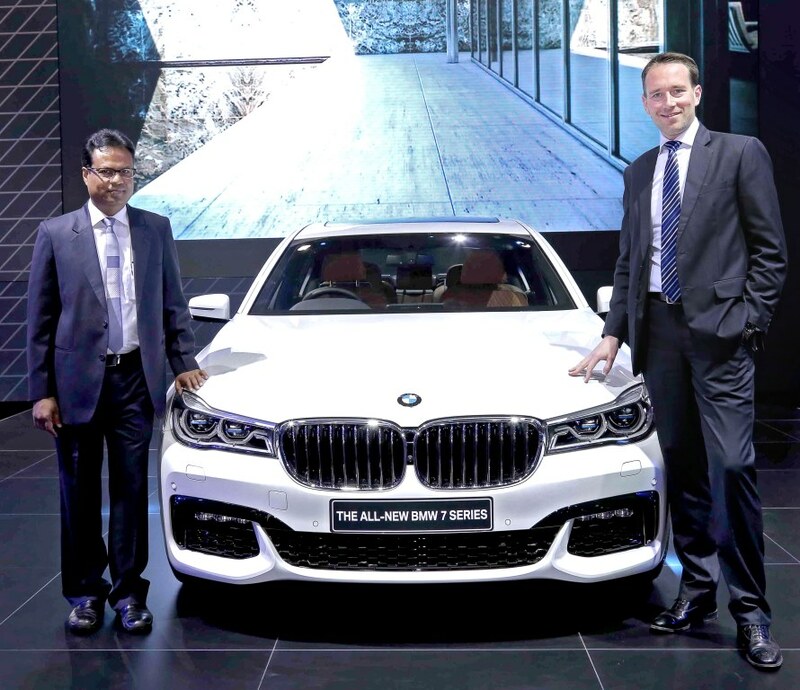 With its three brands, BMW, MINI and Rolls-Royce, the BMW Group has its sight set firmly on the premium sector of the Indian automobile market. Along with its automotive concerns, the BMW Group's activities in India comprise the marketing of motorcycles, as well as financial services for its premium clientele. Headquartered in Gurgaon (National Capital Region), BMW India is a 100% subsidiary of the BMW Group. Till date, BMW Group has invested over 4.9 billion Indian Rupees (€ 69 million) in BMW India. The wide range of BMW activities in India include a manufacturing plant in Chennai, a parts warehouse in Mumbai, a training centre in Gurgaon NCR and development of a dealer organisation across major metropolitan centres of the country. The BMW Plant Chennai started operations on 29 March 2007. The BMW Plant Chennai locally produces the BMW 1 Series, the BMW 3 Series, the BMW 3 Series Gran Turismo, the BMW 5 Series, the BMW 7 Series, the BMW X1, the BMW X3 and the BMW X5. BMW dealerships display the BMW 6 Series Gran Coupe, the BMW X6, the BMW Z4, the BMW M3 Sedan, the BMW M4 Coupe, the BMW M5 Sedan, the BMW M6 Gran Coupe, the BMW X5 M and the BMW X6 M which are available in the country as Completely Built-up Units. BMW India is the pioneer in bringing luxurious dealerships to India. BMW India has set a decisive course by setting up BMW dealerships of international standards across the country. BMW India has also set very high standards in service quality and customer care. Currently, BMW India has 39 sales outlets in the Indian market. BMW India offers ‘BMW Premium Selection’ with the finest range of pre-owned BMW vehicles that are carefully selected and comprehensively examined for quality. BMW Premium Selection vehicles can be ordered through exclusive BMW Premium Selection dealerships at 12 locations in the Indian market. MINI has successfully established itself as a premium small car brand in India. Presently, the MINI model range in India includes the MINI 3-door, MINI 5-door, MINI Convertible and MINI Countryman. MINI has established four exclusive outlets in India. The International Purchasing Office (IPO) established at BMW India’s headquarters in Gurgaon identifies and assesses potential suppliers for BMW, MINI, and BMW Motorcycles taking into account BMW Group’s requirements for quality, technology and logistics. The IPO strongly focuses on increasing the sourcing of production material (components) as well as IT and engineering services from India to the BMW Group international production network. BMW Financial Services India is a 100% subsidiary of the BMW Group and is headquartered in Gurgaon (National Capital Region). Till date, BMW Group has invested 6.4 billion Indian Rupees (€ 98 million) in BMW Financial Services India. BMW Financial Services India operates with three business lines: Retail Finance, Commercial Finance and Insurance Solutions (as corporate agents). The services offered through BMW Financial Services India are significantly valuable to the premium clientele who require exclusive and flexible financial solutions. Service excellence is the primary focus of operations across all business lines.